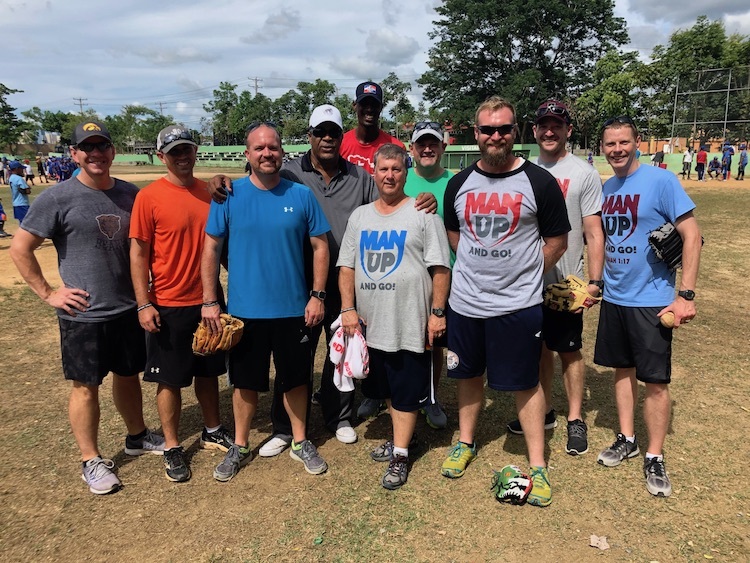 In late July seven men from around the United States traveled with our Director of Operations Luke Sawyer to the Dominican Republic to serve with Fellowship of Christian Athletes in Higuey (eastern Dominican Republic) and Iglesia Bautista Getsemani, Man Up and Go’s partner in Santo Domingo, the capital city. The trip started out in Higuey as we partnered with Miguel and Rosy Terrero from FCA in the Dominican Republic. We were able to host a masculinity conference with many of the coaches from the area who Miguel is working with on a daily basis. On the trip we had Nathan Sels (MUG Board Member and former White Sox Athletic Trainer) and John Fierro (former Athletic Trainer for the Chicago Cubs, Philidelphia Phillies, and Team USA) and through them we were able to hold rehabilitation clinics for coaches so they could develop their players properly. In the Dominican Republic, where baseball is key, and players sign at 16 years old, these coaches make a living out of receiving a piece of the signing bonus of their players. Often times, these young Dominican boys grow up with more time spent with their coaches then their own parents. By investing in coaches, we can see the next generation of young Dominican men grow up to live differently. Miguel wrote me a few days later to inform me that some of the coaches gained a lot from the conference and were reorganizing their lives to spend more time with their wives and children and invest spiritually in their players. Next, the group moved to Santo Domingo, where we partnered with Kendar and Hozanna Robles who pastor Iglesia Bautista Getsemani and run CECCAI, a ministry for kids growing up in the trash dump community in Los Tres Brazos. 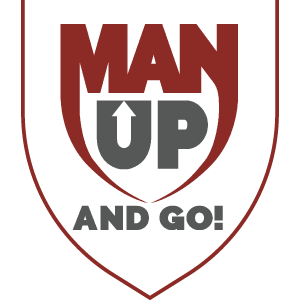 Through CECCAI, Man Up and Go runs a child sponsorship program securing the food and education for the most vulnerable children. On top of hosting a second masculinity conference at the church, the men in the group were able to connect with some of the children in the program and get a feel for the realities of how these children grow up. The conference helped reinforce what Kendar has been teaching in his church about the importance of the family. As we held the conference we had around 45 men from the community come out, and as Kendar told me at the end, this was the largest group of men that the church has ever been able to bring together. Pray for Kendar and the ministry as we continue to grow our partnership together.